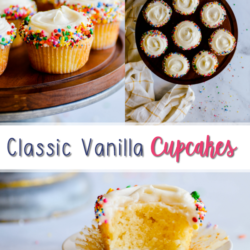 These Classic Vanilla Cupcakes are my favorite! And you’ll be surprised how easy they are to make from scratch. 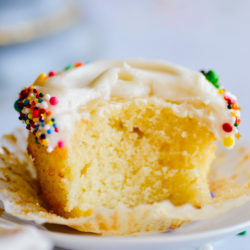 If you’re looking for a super soft, moist, and flavorful vanilla cupcake, then this recipe is for you. 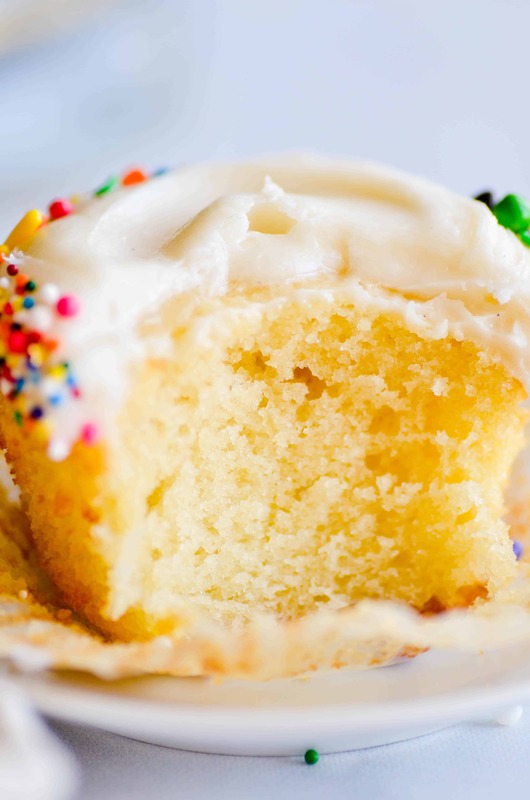 I feel like once you have a really solid vanilla cupcake recipe to work with, it opens up so many other possibilities in the realm of cupcakes. 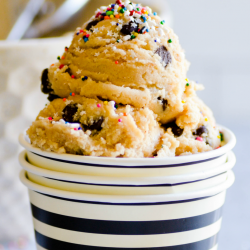 Add sprinkles, chocolate chips, or nuts to the batter to change things up. 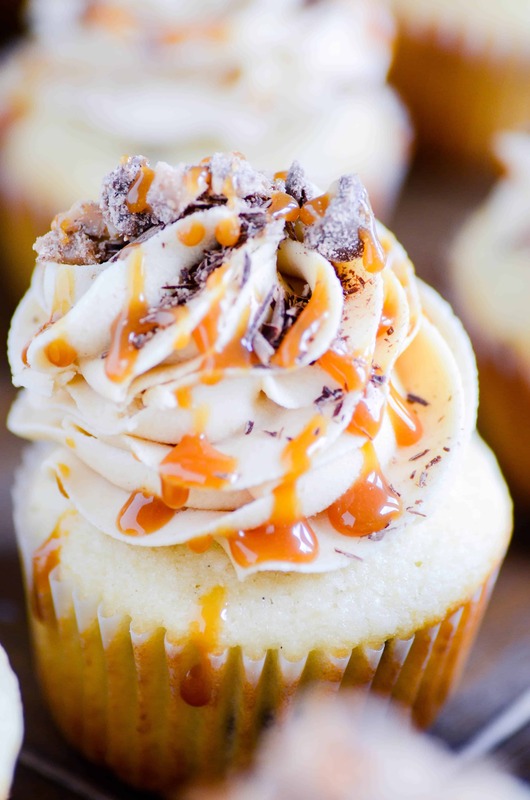 And, of course, the sky is the limit when it comes to frosting! 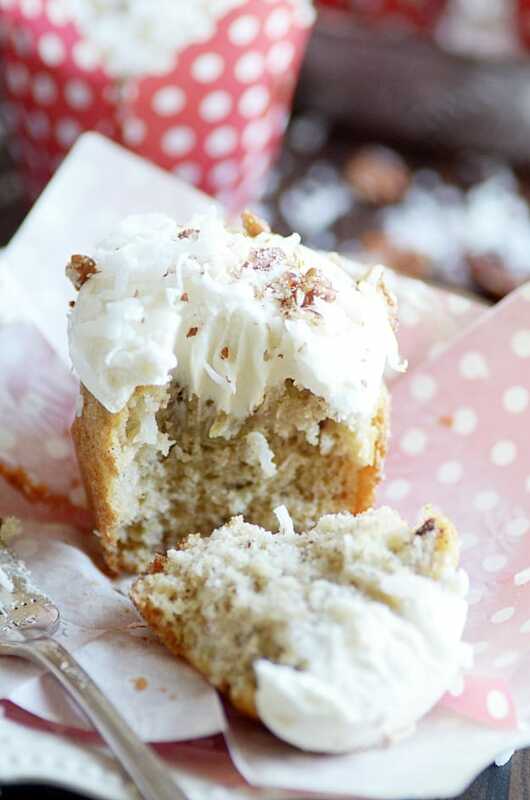 I love these cupcakes with my pipeable cream cheese frosting or vanilla bean buttercream. But feel free to be more adventurous with your pairings than I am! 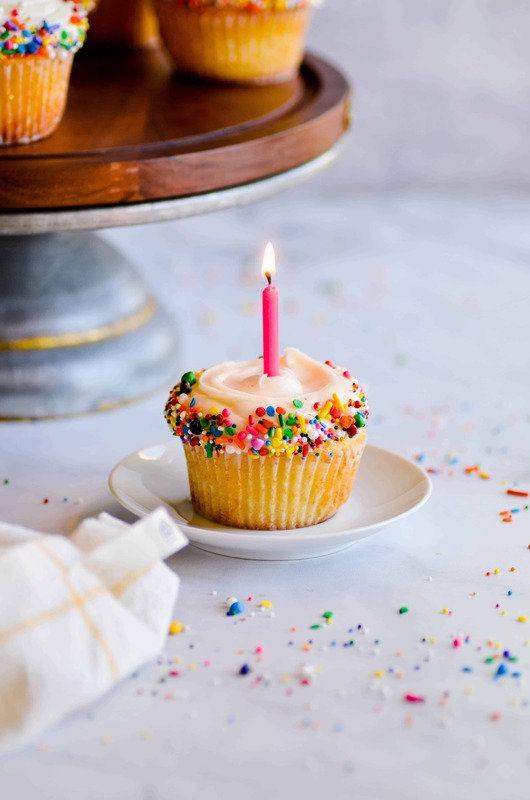 Find all of my cupcake recipes right here. It’s really important to bring all of the cold ingredients to room temperature before mixing the batter. Otherwise the cupcakes will be dry and crumbly. 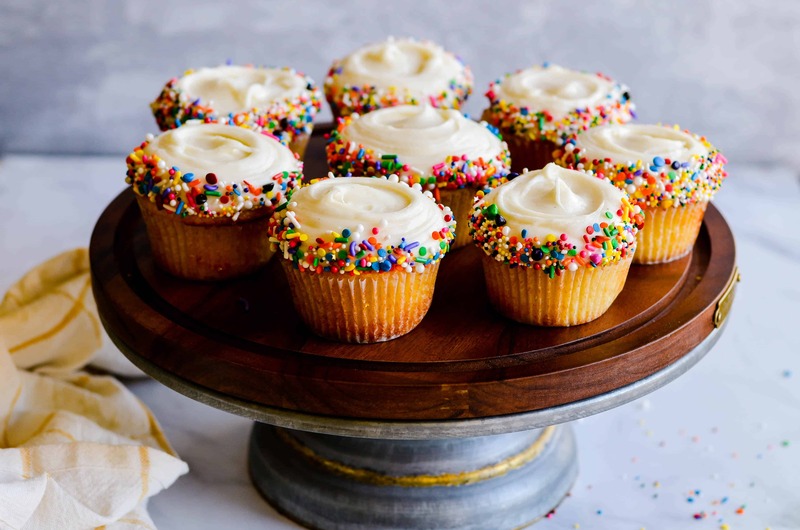 The easiest way to do this is to simply set the cold ingredients on the counter several hours before you need to make the cupcakes (for instance, set them out before you go to bed at night and then mix up the batter in the morning). Soften the butter in the microwave using the “soften” setting. You could also melt the butter if that’s easier, but let it cool a little before starting the batter (it shouldn’t be hot). Place the eggs in hot tap water for about 10 minutes. Heat the milk in the microwave and then mix the cold sour cream into the warm milk. This should quickly bring both ingredients to room temperature. If you can, I highly recommend using a very potent source of vanilla. Of course, generic grocery store vanilla will be just fine. 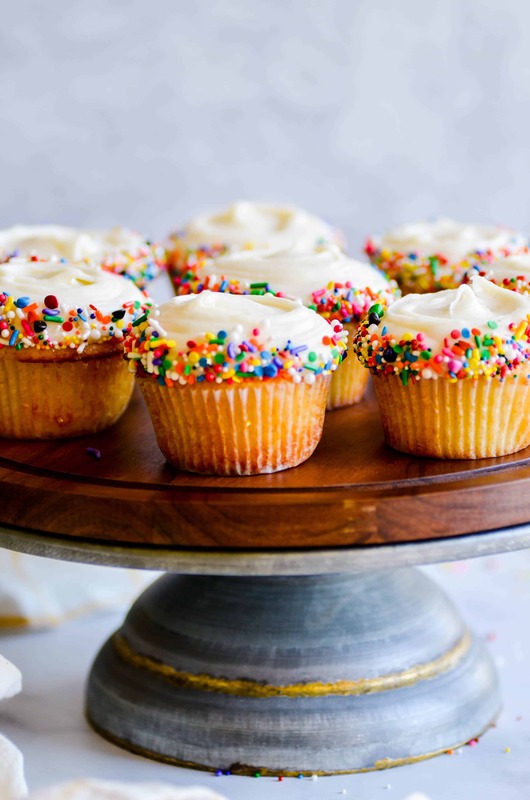 But these cupcakes will really shine if you use vanilla paste, vanilla beans, or even just a very high quality vanilla extract in both the batter and the frosting. 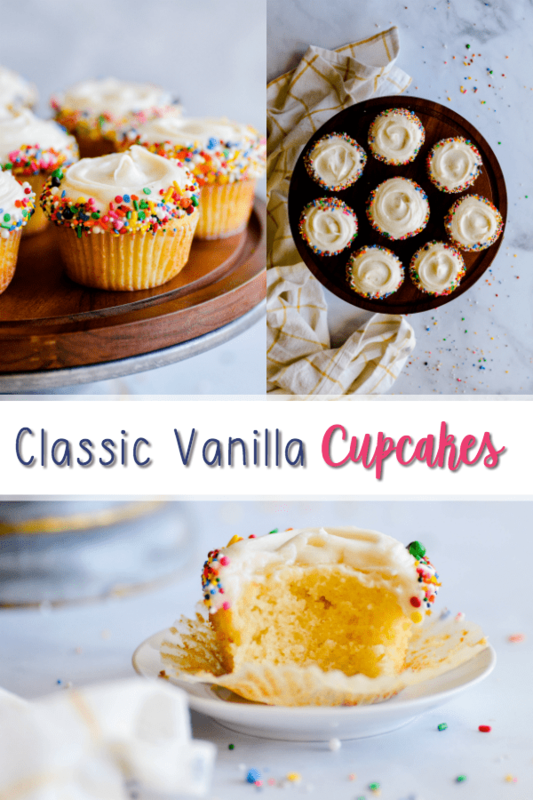 Classic Vanilla Cupcakes are my favorite! And you'll be surprised how easy they are to make from scratch. Preheat oven to 350ºF. 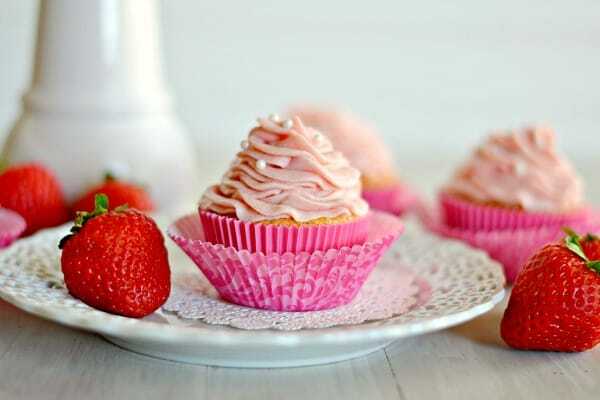 Prepare 2 muffin tins with cupcake liners and a light mist of nonstick cooking spray. Whisk together the butter and sugar. Mix in the eggs one at a time. Mix in the milk, sour cream, and vanilla. Mix or sift together the baking powder, salt, and all-purpose flour. Fold the dry ingredients into the bowl until a batter forms. Scoop 1/4 cup of batter for each cupcake. Bake for 20-22 minutes, until tops look done. * See tips in the post regarding quickly bringing ingredients to room temperature. 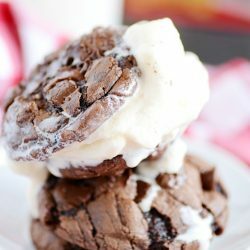 More cupcake recipes you’ll love. « Previous PostBest EVER Baked Donuts of All Time Ever.